McWane companies offer a wide range of pipeline products for water, fire and sewage in cast and ductile iron material. Our sales team strives to exceed customer expectations every day. We have a team of dedicated people and a wide distribution network to provide excellent support to your specific needs. 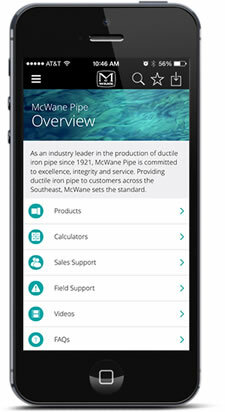 McWane Gulf has the support in technology from companies who are pioneers in water, fire, and sewage pipeline products. We strive to keep our team members, customers, and vendors informed of what is happening at the company. The Series 911 dry barrel hydrant is designed to EN 14384 standards and available in DN100 size and PN16 rating. The hydrant is provided with a protective shroud with lock and key.